I’m calling this coming weekend — 10:45 PM Friday, May 4 to 5:00 AM Monday, May 7 — another “green light” weekend because, apart from the absence all weekend of 2 and 3 train service, which means no service in either direction at Clark Street or on the 2/3 platforms at Borough Hall, and which will be a fact of life every weekend until sometime this summer spring they now say, which gives them until June 21, there are no other planned service changes affecting nearby stations except for one positive change. 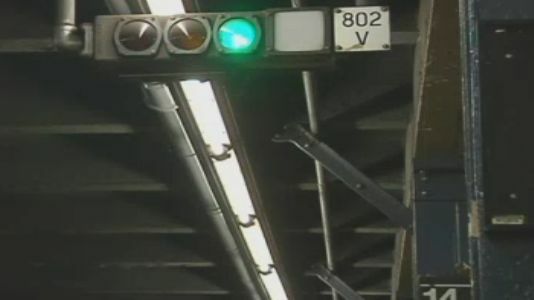 From 10:00 PM Friday to 5:00 AM Monday, Manhattan bound N and Q trains are being diverted to the R line between De Kalb Avenue and Canal Street, which means extra Manhattan bound service at Court Street and Jay Street-Metro Tech. The following work week — Monday, May 7 to Friday, May 11 — each night from 9:45 PM to 5:00 AM, there will be no 2 or 3 service in either direction at Clark Street or Borough Hall. Each night from 11:00 PM to 5:00 AM there will be no Manhattan bound service at Court Street or from the N/R platforms at Jay Street. There will, however, be service from Manhattan and into Brooklyn on the N at those stations.